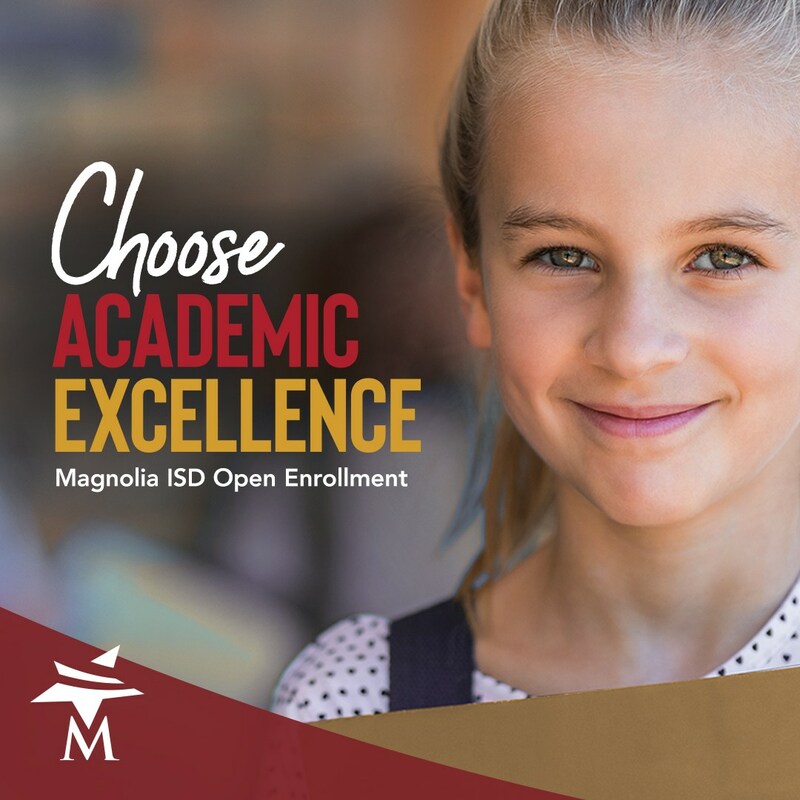 We are excited that you have chosen Magnolia ISD. Parents of students living outside the Magnolia ISD boundaries have the opportunity to be a part of the District through open enrollment. Open Enrollment is available for students in grades kindergarten through 12th grade. Students who are accepted through Open Enrollment will be assessed $2,000 tuition for the academic year ($200 month for August-May). The District will determine which school the transfer student will attend. Limited financial hardship applications are available. Link to tuition schedule. Through the Open Enrollment program, Magnolia ISD does not provide transportation to and from school. Parents must complete the Open Enrollment Application form. The form is at the Celeste Graves Educational Support Center, 31141 Nichols Sawmill Rd., Magnolia, TX 77355. Hours are Monday - Friday between 7:30 am - 4:30 pm. Approval process is based on discipline, attendance, open seats, teacher capacity and a completed application. Magnolia ISD is currently accepting applications. Applications will be processed on a first-come basis and each student will be considered independently at the time of their request by the Superintendent or designee. Parents will be notified electronically of acceptance or non-acceptance of their application. Once the application has been approved, the parent should contact Student Services to make arrangements for registration.